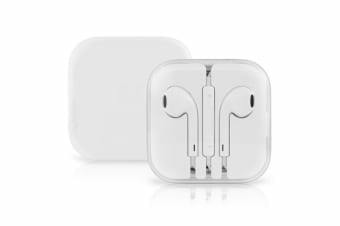 Read customer reviews of the Apple EarPods with 3.5mm Headphone Plug. After a purchase, we invite our customers to leave a product review. The customer reviews for Apple EarPods with 3.5mm Headphone Plug are below. I was extremely happy with the product. Product was great quality. although my son (who one of the pairs were for) accidentally slammed boot of my car and got them caught and in the boot and busted them. They are no longer usable. The other pair works and sounds great. Did not know what to expect, but when received product was of a high quality and met all the requirements that I had hoped for. Came quickly but have been purchased as a gift. Cannot completely give a score but they look ok!